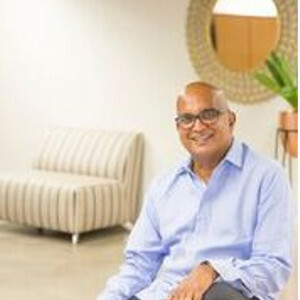 Asantha Wijeyeratne has over 20 years’ experience of unparalleled focus on helping small businesses navigate the difficult landscape of effective payroll. His formal background in accounting combined with his ‘people first’ attitude, has seen him successfully build a number of businesses into market leadership positions. Most notably Asantha was the driving force behind the creation and growth of SmartPayroll/SmartBooks which he grew to service close to 10,000 SME’s in NZ before his exit in December 2013. The crucial element to the success of this business was an unwavering focus on customer care above everything else. His latest venture is following a similar, yet improved, journey. Setup to challenge the status quo of an aging and ineffective industry Asantha was driven to leave behind legacy systems and leverage the latest generation technology in order to underpin radical new thinking. The vision he has infused into his team is to completely revolutionise how people get paid and become the leading payroll platform available. Asantha migrated as a young accountant from Sri Lanka in December 1988 and worked initially as a financial controller for a manufacturing company for 6 years. He then began his entrepreneurial journey which was focussed on the SME market segment. In recognition of his contribution to business and the community he was awarded a Queens Service Medal (QSM) in the New Year’s honours list in 2013. Asantha is a past president of the New Zealand Sri Lanka Friendship Society. PaySauce has already established itself as the leading Agriculture payroll provider with significant month on month growth achieved since its inception. Built on world-class solution architecture and offered 100% from the cloud, leading strategic growth in overseas markets is his next big horizon.